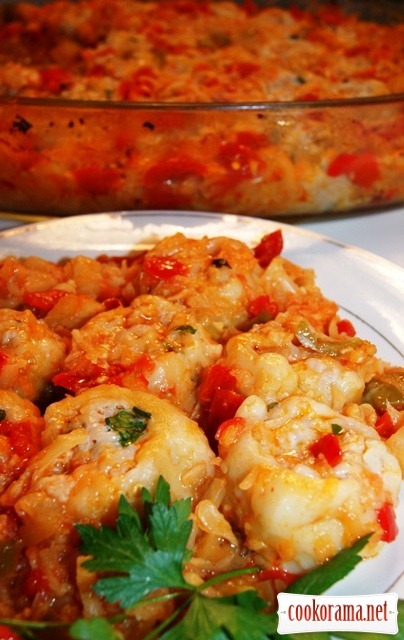 The recipe is perfect for category — Recipes for weekend when you want something tasty and fast! Try it! 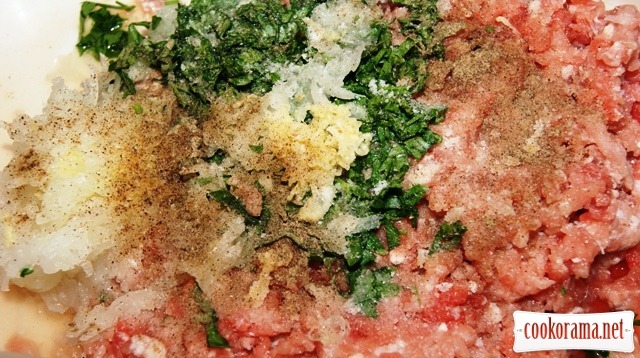 Prepare mince stuffing (I have veal and pork, onions, garlic, ground pepper, salt, parsley. Stuffing should be juicy, so I always add some water in mince. Put mince in the fridge and let it stand a bit. 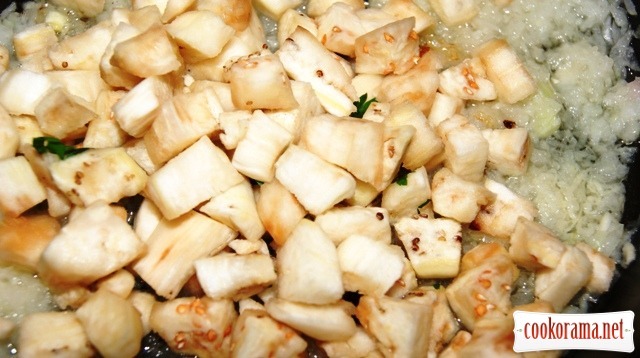 Soak sliced eggplants in cold salted water. 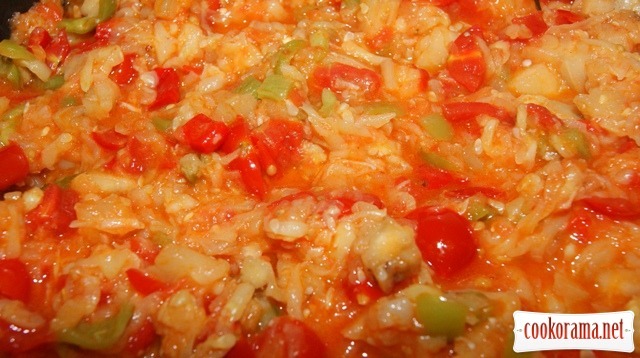 This is necessary not only to remove the bitterness, such eggplants do not absorb much oil. 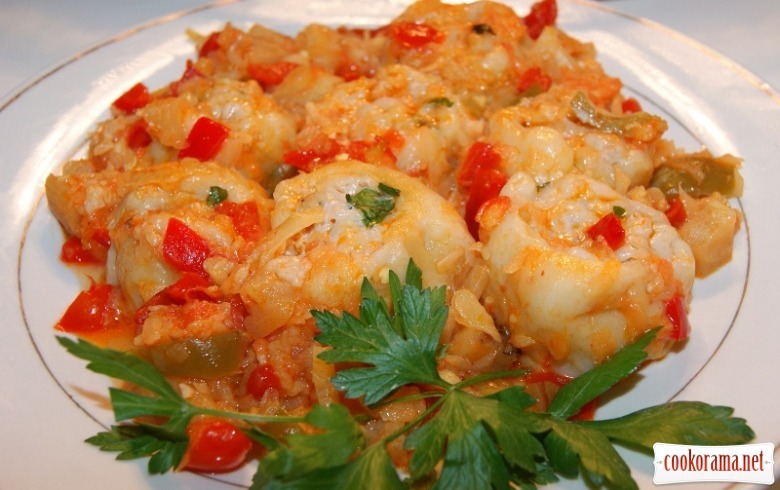 In a deep saucepan heat a little oil and fry the onion and garlic until transparent, add eggplant, stew for 2-3 min. 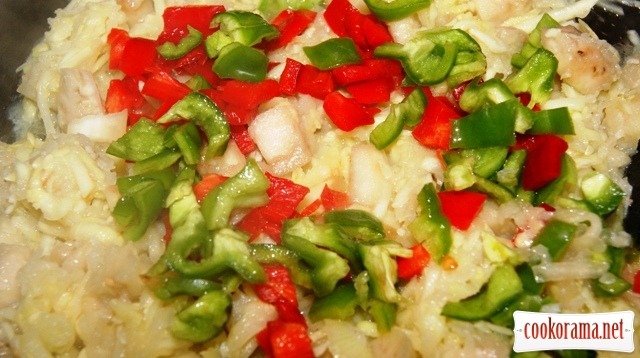 Add eggplants and pepper, stew for 2-3 min. 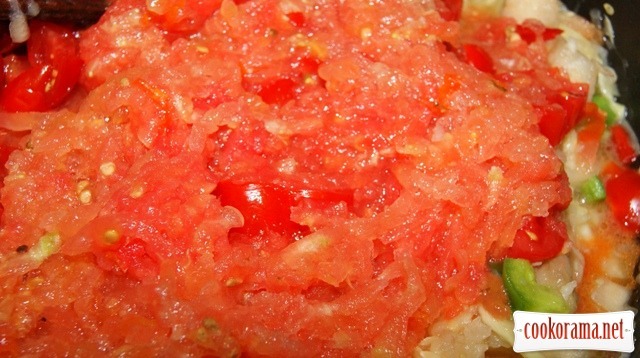 Add tomatoes and stew over low heat till almost complete evaporating of liquid and vegetable readiness. 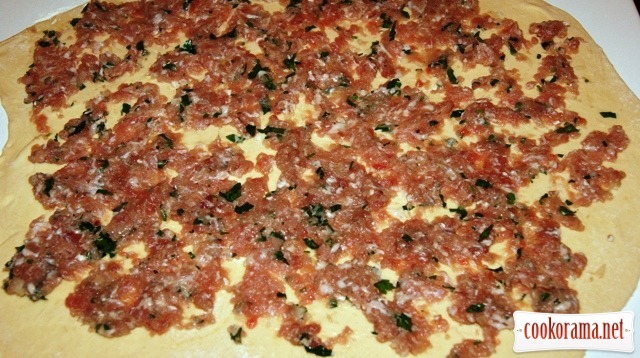 Add salt, pepper and parsley. Ready sauce can be ground in blender, but I didn`t do that. 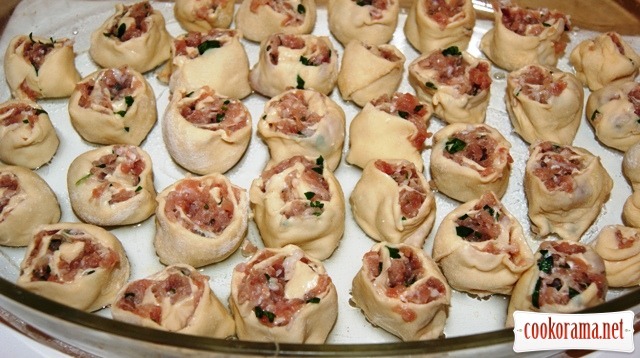 Roll dough as for pelmeni and spread on it layer of mince. Make a roll and cut in pieces of 3-4 сm, put them in refractory oiled form, seam down and not close to ech other. 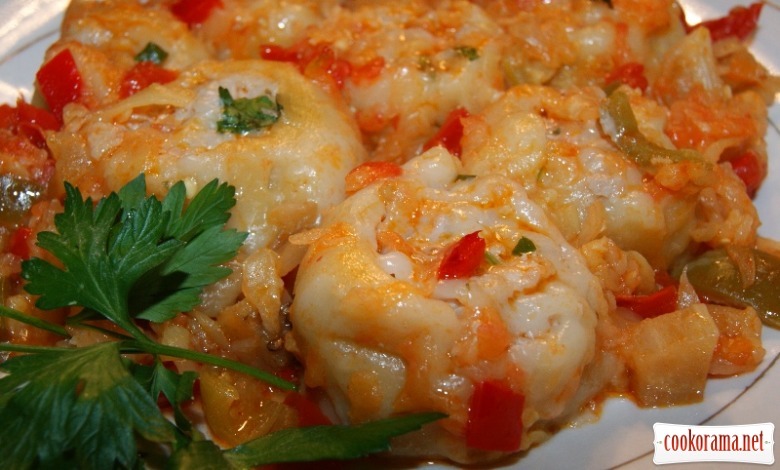 Fill in distances between pelmeni with sauce and pour vegetable broth. Bake in heated at 190 C oven for 25-30 min, focus on your oven! 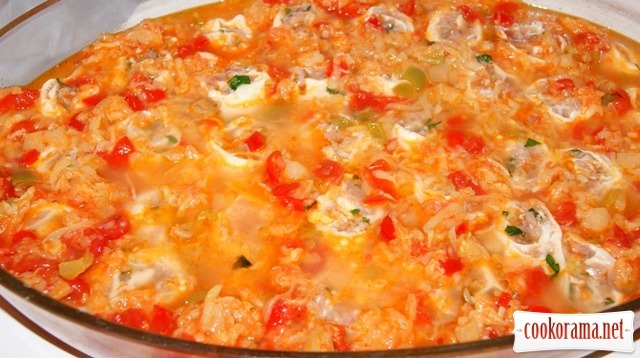 Top of recipe "Lazy pelmeni in vegetable sauce"
спасибо, Леся! 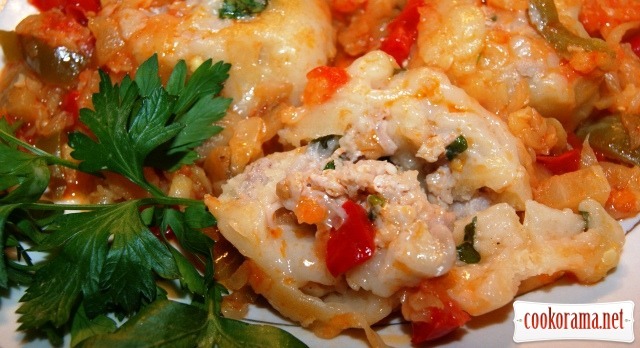 рада, что наши вкусы совпадают! неее… лентяйка из тебя не получится, ты труженица! Боже, яка смакота!!! В мене вже тече слина!!! Справді дуже смачно і швидко!